Now You Can Karaoke Online! Ever been in a bar or at a party and there’s karaoke, your friends are bugging you to get up and sing, and you say, “Not until I’ve had a few drinks,” to get over the fear of performing in front of people? 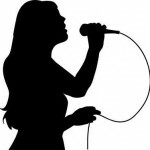 Well, now your fears are gone if you have that karaoke itch – you can sing your heart away online! Stingray Digital’s Karaoke Channel online karaoke platform has launched an iPhone app for the intro price of .99, shipping with 50 songs. The songs are played with original concept video backgrounds with an optional lead vocal guide track that can be turned on or off, if you need a little help. Full song lyrics are included on each song’s info page. Subscribe to Stingray’s full library with access to over 6,000 songs for an additional $2.99/month. Next PostIs It A Bird? Is It A Plane? No It’s Formata Bold!